Enlarged version of the standard Fiamma F45S awning models available in lengths from 450 to 550 specifically to suit bigger Coachbuilt and A-class Motorhomes. 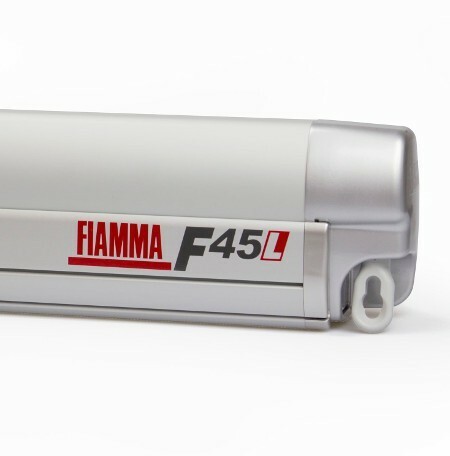 The Fiamma F45L awning benefits from a bigger cross-section awning case and larger diameter canopy roller tube which provide substantial additional rigidity and strength to these long length awnings. 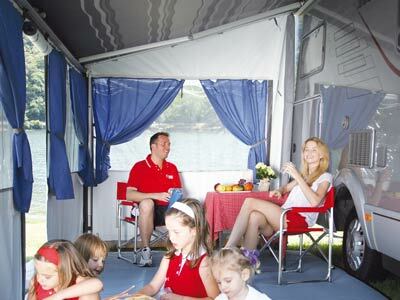 Oversize support arms and awning legs support the extra weight of the large awning canopy. 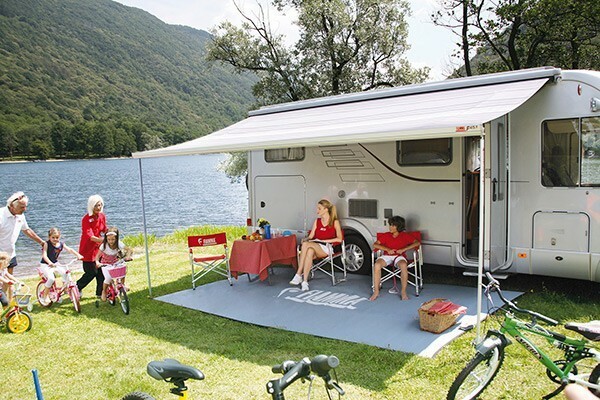 This fully automatic wind-out awning is still just as easy to use and fast to set up allowing to rapidly create a substantial shaded area on the side of your motorhome. The Fiamma F45L awning benefits from all the quality and ease of use features of the smaller F45S models, and retains the option to add front or side panels, or fit a Privacy Room to create a complete awning enclosure. Following the same design concept as the F45S, the Fiamma F45L benefits from many of the same features and optional accessories. The Fiamma F45S canopy fabric is multi-layered, washable, ultra-resistant, flame retardant and is patterned on both sides. 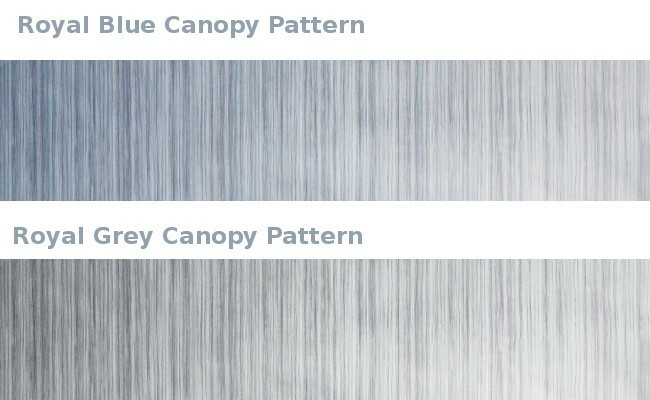 The light reflective properties of the canopy keep it cool in warmer climates and make it resistant to fading caused by UV sunlight. The seemless construction of the canopy increases performance and gives it greater resistance to tears caused by sudden winds. 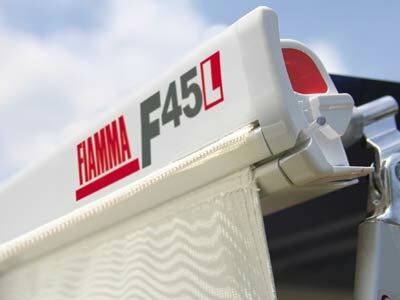 Packing away the Fiamma F45S awning when wet is no problem, as the canopy is rot-proof (air out as soon as possible). 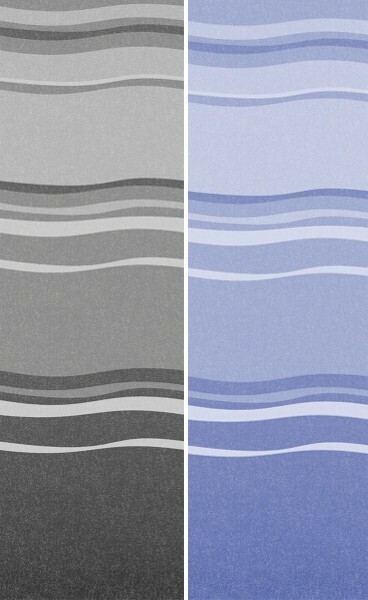 The F45S canopy is finished in attractive Deluxe Grey and Blue Ocean. 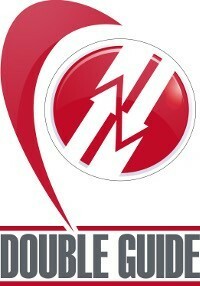 Double guide on the awning lead bar allows the installation of two front panels. Alternatively, you can still use your awning tie down or awning ahngers when 1 panel is fitted. 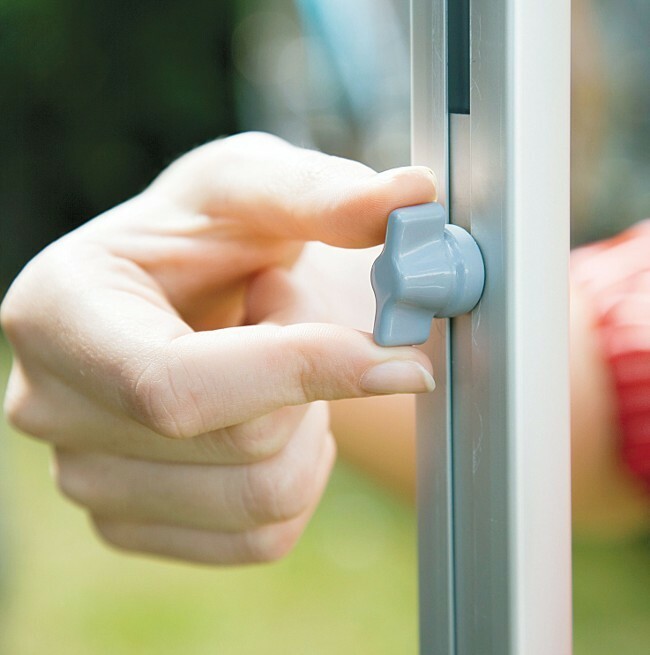 Fast and silent opening and closing thanks to the Auto-Lock safety system and perfect closing thanks to the Dual Security indicators which clearly show when both ends of the awning are securely closed and it's safe to drive. Simple and easy to use awning canopy tension adjustment. 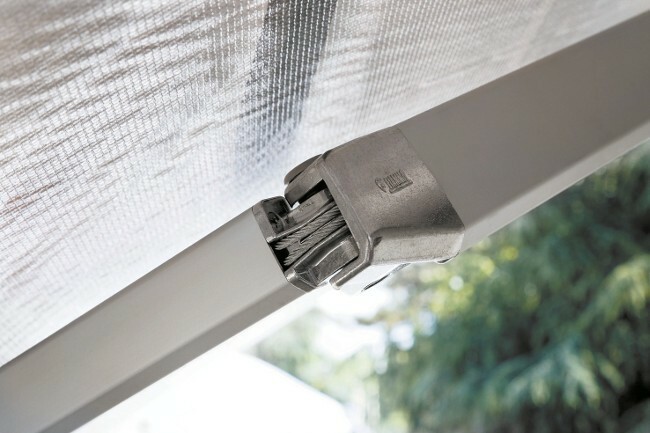 If, over a period of time, the tension in the canopy fabric or awning arms changes, the Presto Fix system allows you to realign the closing of the front bar ensuring you can keep using your awning for many years. It is not possible to roll the canopy fabric back in the wrong way around the roller bar. 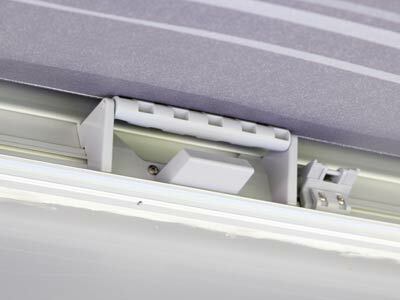 This ensures the awning is correctly packed and neatly closed first time, every time. 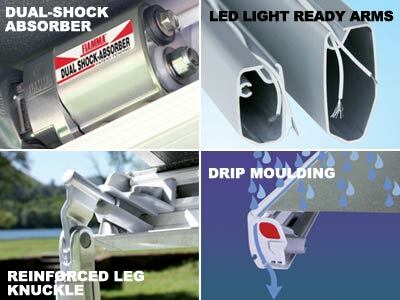 Patented shock absorbing bracket with a dual bolt system to protect the awning case and vehicle wall. 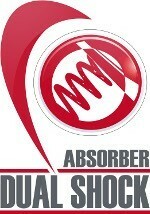 Vibration and wind impact is soaked up by the shock absorber instead of being transferred to the awning box. Highly resistant reinforced articulated arms with strong 3.5mm wire cables. Arms are proof tested for more than 10,000 cycles of opening and closing the awning. How many times will you use yours? The awning legs can be fixed to the ground or the vehicle wall and the height of the lead bar can be easily adjusted with a telescopic, safe and practical system. The F45L is supplied with a fitting kit suitable for bolt-through-wall installation on the flat, vertical wall of coach-built Motorhomes. 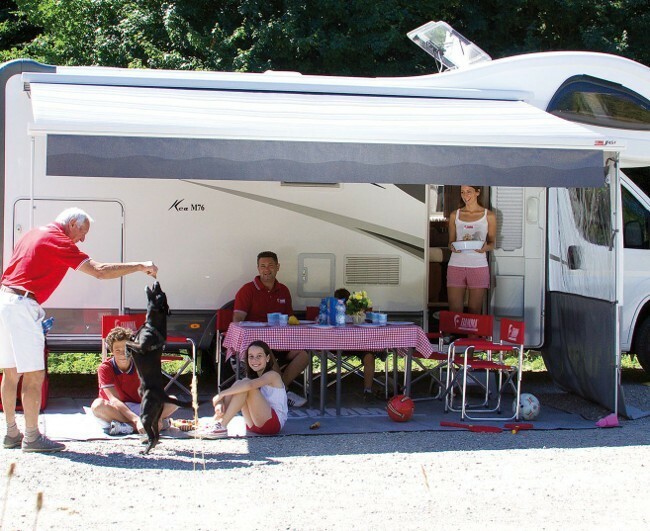 It is also compatible with the same optional fitting kits as the F45S awnings with kits available to suit a variety of other vehicles and specific models of non-standard motorhome installation. 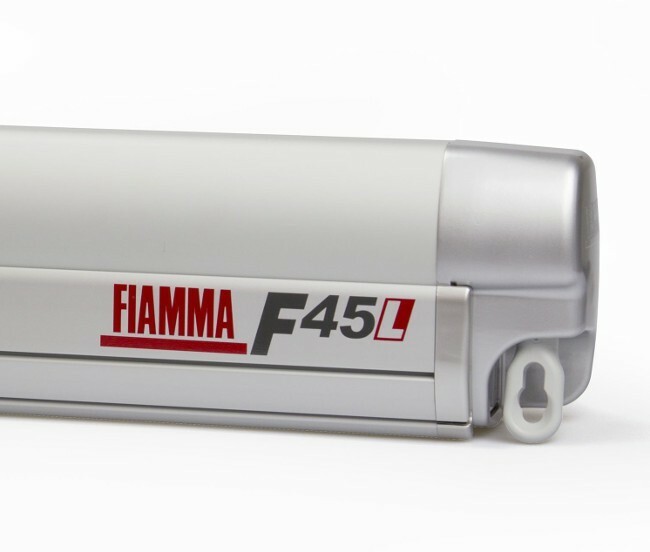 If you have a non-standard installation please visit our F45 Fitting kits page or email sales@agentfiamma.co.uk for help finding the right kit for your vehicle. 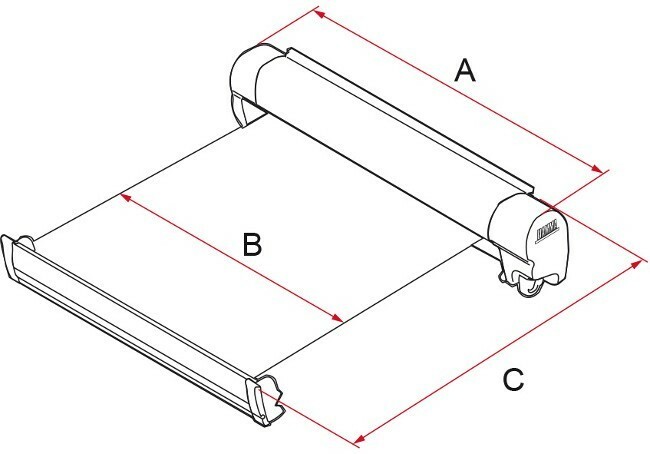 Refer to the specification table for lengths and weights for each F45L awning model. 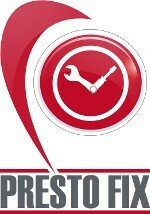 Presto Fix - Reinforced arms with twin cable - Extra Strong Arms - Dual Shock Absorber - Auto-Lock - Dual Security - Telescopic Crank Handle - AS Brackets and internal 'M' bracket covers - Hooks to secure legs to the ground - Wall brackets for leg support to the motorhome - Tension Rafter (2 pieces with F45 L 550). 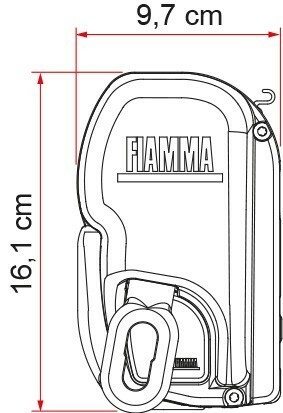 Fiamma F45 awning can be improved with handy awning hangers, Rain Guards and Drip Stop, integrated LED Lighting and a Motor Kit.